Bottle with essential oil, towel and candles on white table. Spa, aromatherapy, wellness, beauty background. Bottle with essential oil, towel and candles on table. 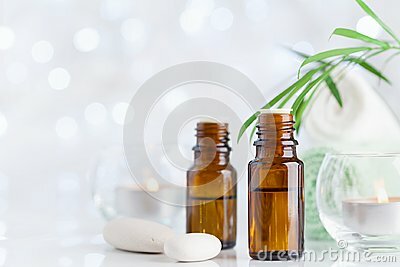 Spa, aromatherapy, wellness, beauty background.